If you walk out of a meeting and say they just don't get it. You may as well be saying: I couldn't figure out how to get my point across, I'm a lazy designer, please take all my clients. Prototyping is the pivotal activity in structured innovation, collaboration and creativity in design. Prototypes embody design hypotheses and enable designers to get feedback. By trying things out and learning — you are able to improve your design, and gain insights you may not have otherwise had. Prototyping is a strategy for efficiently dealing with things that are hard to predict. 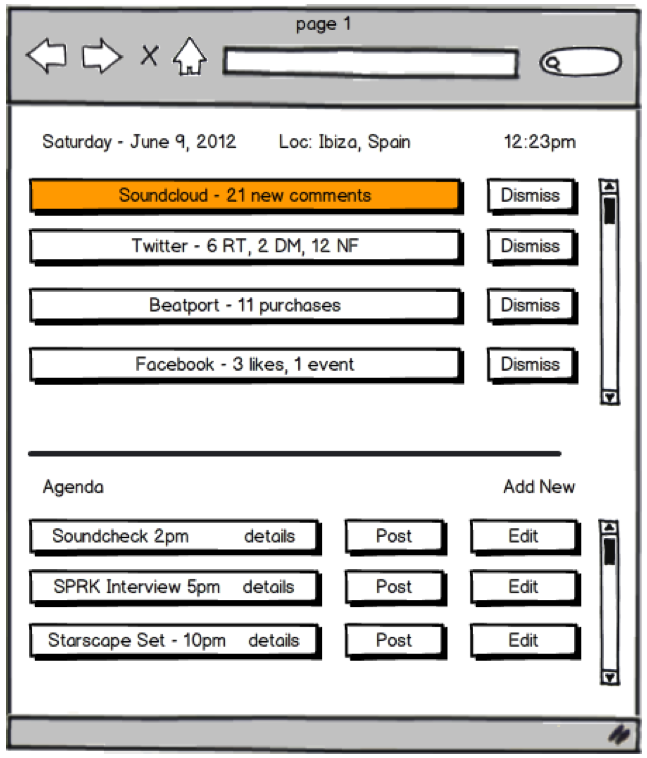 Balsamiq helps to generate ideas quickly; review and iterate sooner. What makes an interface learnable? How does a user think this works? Make the lexicon of the application consistent. No geek speak. No new words or abstract acronyms. Where is an icon appropriate - and text more useful? Shorten distance, make targets bigger. Preprocessors automatically remove and minifies! To reduce http requests, we'd have to piece together image files with every icon in our system, measure their x and y position, and handcraft the css to display it. Now that icon fonts are stylish, wide browser support and an endless amounts of font icon packs to choose from, (or make ourselves) we can simply use Icomoon to create a font file with ONLY the icons we need. 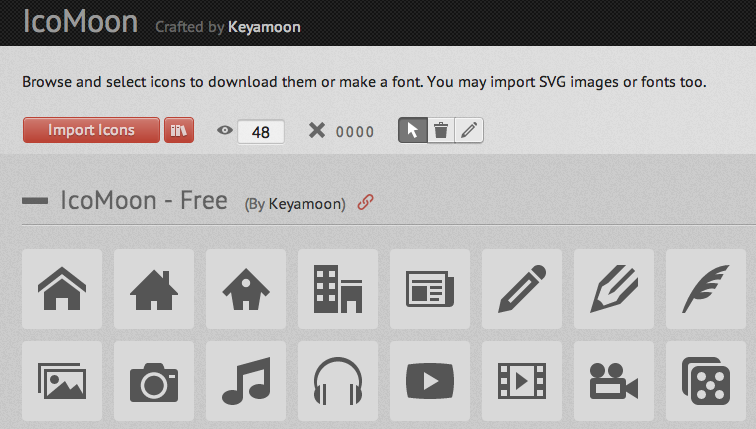 Easily add custom icons - boom!